In the spirit of the 4th of July, we've found some awesome explosion action to tide you over until the real fireworks begin! 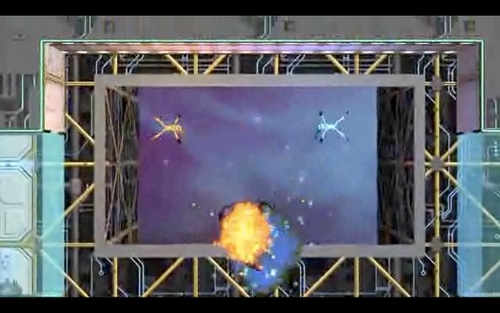 That is to say, 'Splosion Man has finally shown us its Co-op colors! 'Splosion Man is sure to fulfill all your mad scientist, platforming needs. Various neon colors represent the 2-4 co-op "test subject" 'Splosion Men in their molten explosive forms. Use each others explosions to reach new heights, and just blow everything to little tiny bits. Explode with 4 players to do the most amount of damage, and clear over 50 stages in a totally unique platforming way! The real co-op insanity begins July 22nd, so keep an eye out!